We depend on―we believe in―algorithms to help us get a ride, choose which book to buy, execute a mathematical proof. It’s as if we think of code as a magic spell, an incantation to reveal what we need to know and even what we want. Humans have always believed that certain invocations―the marriage vow, the shaman’s curse―do not merely describe the world but make it. Computation casts a cultural shadow that is shaped by this long tradition of magical thinking. 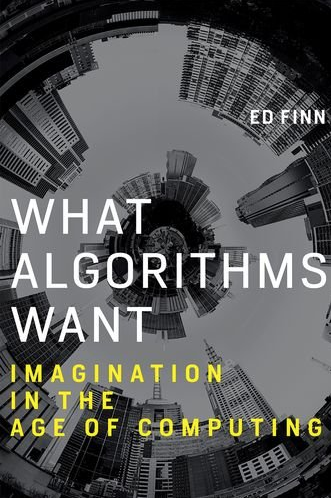 In this book, Ed Finn considers how the algorithm―in practical terms, “a method for solving a problem”―has its roots not only in mathematical logic but also in cybernetics, philosophy, and magical thinking.